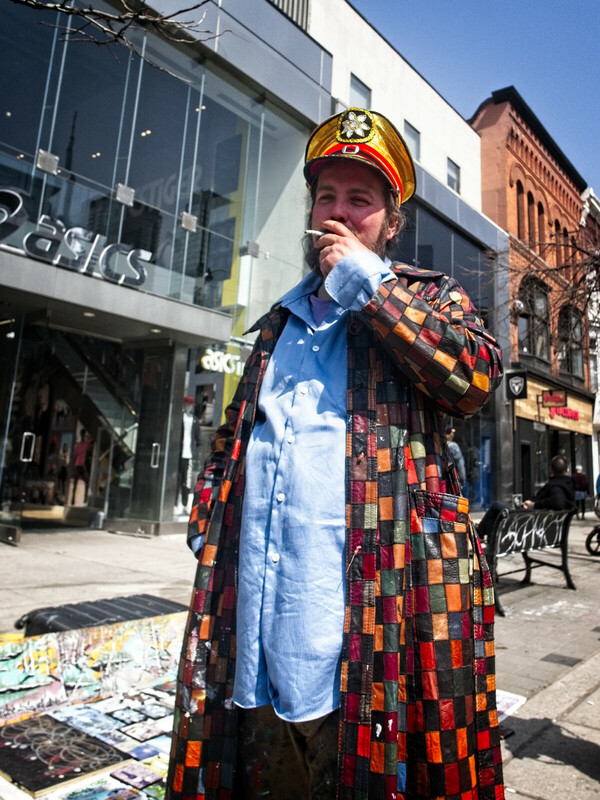 This was shot last Saturday along Queen Street West in Toronto. I've processed the photo in both color and black and white but cannot decide which is better. Move the slider across the photo to compare both versions.